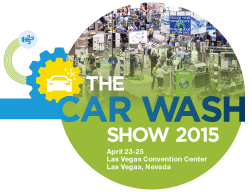 Learn what you want, the way you want, at The Car Wash Show™ 2015! 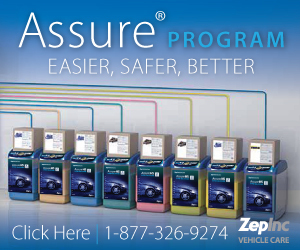 Join us at The Car Wash Show™ 2015 for education designed with YOU in mind. Everyone has a unique learning style and this year The Car Wash Show has eight different session types so you can decide what fits you best. 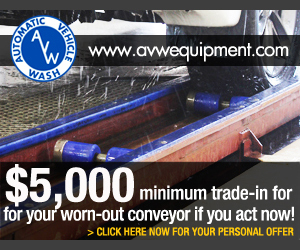 Visit http://carwash.org/mobile/news/2015/02/18/learn-what-you-want-the-way-you-want-at-the-car-wash-show-2015! 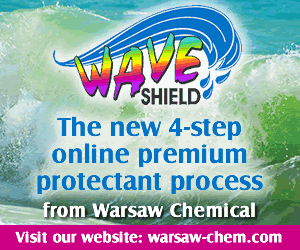 to view the full article online. Submit a nomination by February 27 for the Car Wash Hall of Fame. The nomination process is simple; email Membership Director Megan Clark at mclark@carwash.org with the name of the person you are nominating, a short paragraph of their achievements, and why you feel they should be honored. 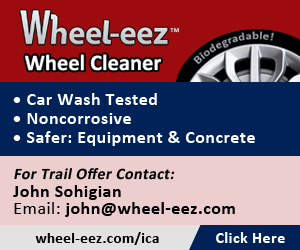 Visit http://www.carwash.org/news-landing/2015/02/17/nominate-a-peer-for-the-car-wash-hall-of-fame to view the full article online. The owner of the new Metro Express Car Wash under construction in Coeur d'Alene is a hall of famer. Bill Martin, who has owned a dozen car washes in Idaho, Washington, Missouri and Kansas, was inducted in 2012 into the International Car Wash Association Hall of Fame for his lifetime contributions to the industry. "I just like doing it, and even as a kid, I knew I wanted to wash cars for a living," said Martin, of Eagle. His new Coeur d'Alene car wash has an estimated $5.5 million development cost, and is scheduled to open in April. Visit http://www.cdapress.com/news/local_news/article_c8e3209a-886d-5b2e-a84b-7aebfe10c911.html to view the full article online. 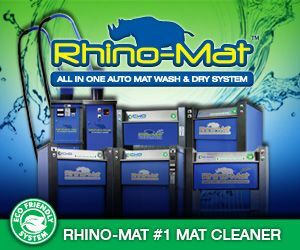 3 Minute Magic Car Wash is giving away FREE car washes from February 14-20. Visit http://carwash.org/news-landing/2015/02/11/3-minute-magic-to-open-revolutionary-car-wash-on-the-airport-motor-mile-this-saturday to view the full article online. John DaCosta has always been a car enthusiast and now he is turning his love for cars into a living. DaCosta and his wife, Danielle, are opening River Club Car Wash, a state-of-the-art car wash off State Road 70 in East Manatee. While the car wash, 5740 Ranch Lake Blvd., is expected to have its soft opening this week, it has been a long time coming. Visit http://www.bradenton.com/2015/02/18/5642744_customer-service-emphasized-at.html?rh=1 to view the full article online. Here's how updating each section of a business plan can help you reinvigorate your business and renew your focus. Visit http://www.entrepreneur.com/article/242870 to view the full article online. So you have a business plan. Now what’s your BHAG? You. Yeah, you. The young entrepreneur with the dream – and the business plan – to jumpstart your start-up. While the current business climate offers a wealth of opportunities to the young and fearless entrepreneurs who are diving headfirst into the startup pool, it’s not enough to just have a plan. You’ve got to have a goal to work towards: A big, hairy, audacious goal (BHAG, for brevity’s sake). Visit http://www.biznews.com/entrepreneur/2015/02/17/business-plan-now-whats-bhag/ to view the full article online. When I work with startups, I am invariably asked whether they "really need to bother with a business plan." Small businesses owners pose the same question. The answer to both is typically a resounding YES -- and that's why my venture capitalist and investor clients never ask whether spending the time drafting a business plan is a worthwhile allocation of resources. Whether you're looking for investment dollars or just looking to succeed, it makes sense to draft a business plan. 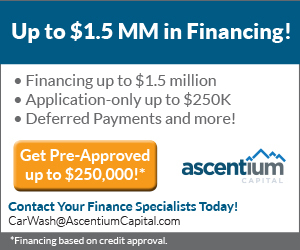 Visit http://www.huffingtonpost.com/nina-b-ries/business-plans-mapping-yo_b_6517714.html to view the full article online. The largest addressable market in the history of media is forming as you read this, and it can be found in the pockets of billions of people around the globe. According to a recent Millard Brown study, 47 percent of consumer media screen time is now spent on mobile devices. Audience media consumption patterns are rapidly shifting, yet mobile marketing approaches have not evolved to embrace the new paradigm: banner ads are ineffective, interstitials are interruptive, and video ads feel intrusive. Visit http://www.entrepreneur.com/article/242970 to view the full article online. I honestly cannot believe I actually have to write this but this just in, pretty much entire world is on a mobile device on pretty much the whole time they are awake. In other words, the world of mobile marketing and its ridiculously enormous benefits should come as no surprise to anyone. Visit http://www.forbes.com/sites/steveolenski/2015/01/29/11-things-cmos-need-to-know-about-mobile-marketing-strategy-and-app-development/ to view the full article online. People spend more time on their mobile devices than they do in front of their television sets, yet mobile is not as powerful an advertising medium -- at least, not yet. Mobile apps rather than the mobile Web might seem to be a better way for companies to reach customers, but the vast majority of mobile traffic and shopping doesn't come through apps. Visit http://www.cio.com/article/2880560/marketing/mobile-marketing-means-much-more-than-apps.html to view the full article online.